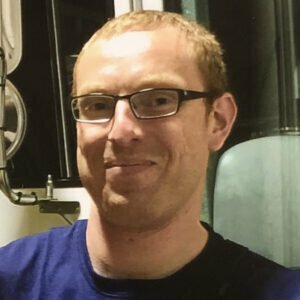 One day after he was killed in the line of duty, a Maine fire captain was remembered Saturday as a hero. Berwick fire Capt. Joel Barnes, 32, died battling a four-alarm fire Friday. “In my mind, he’s a hero,” Berwick fire Chief Dennis Plante said Saturday as he fought back tears. Barnes’ father says another firefighter told him that his son saved that firefighter’s life by shielding him from the flames. “I know Joel has had several times when he has saved people’s lives,” said Berwick Town Manager Stephen Eldridge. Barnes’ body was escorted by first responders from across the region from the New Hampshire Medical Examiner’s Office in Concord to a Dover funeral home. Police officers and firefighters also lined the route to show their respect. Firefighters will be by his side at the funeral home in Dover as part of a 24-hour vigil until the funeral, which is still being planned. A fund has also been established in Barnes’ memory. Donations will go to the Berwick Volunteer Firefighters Association. They can be sent to Kennebunk Savings Bank, 2 School St., Berwick, ME 03901.